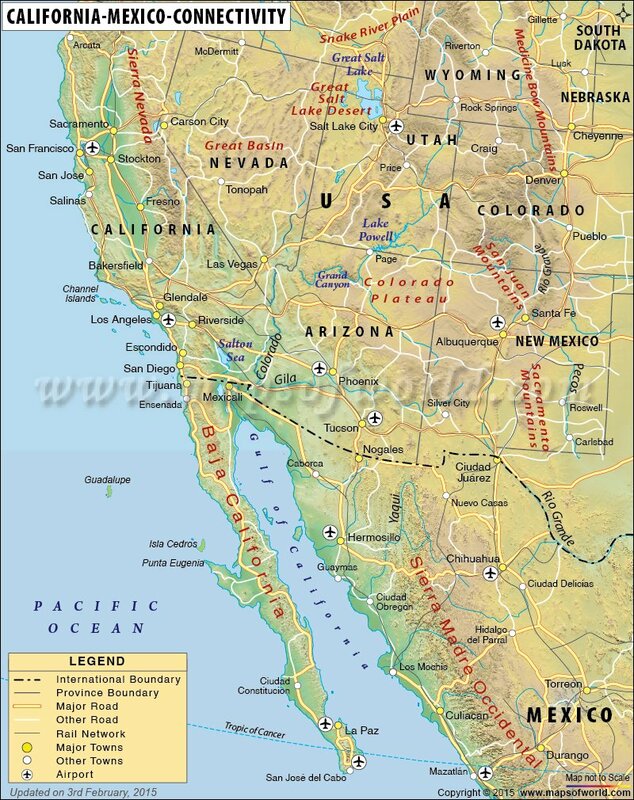 The map highlights the international border between Mexico and California State of USA. The eastern part of the international border between USA and Mexico is defined by river Rio Grande. It encompasses a variety of terrains from major urban area, deserts, mountainous regions and Colorado Delta. In the west the border touches the Pacific Ocean. It is supposed to be the most frequently crossed international border in the world.